During my last travel to Turin, I visited the gorgeous Villa della Regina in a very gloomy day, such a shame the weather was not the best 'cause I'm sure this beautiful place would be amazing with a light blue sky and warm light. I did my best to shoot some pics inside and outside even with the terrible weather, I hope you'll enjoy them. I fell in love with this beautiful room just at the beginning of the tour, look how beautiful everything is! I took so many pics 'cause I was truly fascinated by these amazing paintings all over the place. 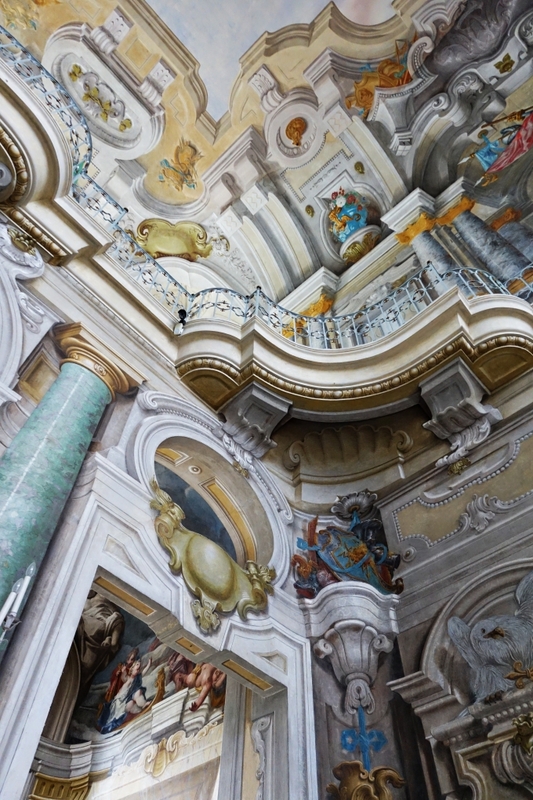 Inside the residence there are paintings by Giovanni Battista Crosato, Daniel Seiter and Corrado Giaquinto, placed in the large main hall. The four Chinese cabinets in refined lacquered and gilded wood are noteworthy in the adjacent rooms. Most of the stuccos, among which the decorations of the antechamber with green ceiling and the hall of Anna Maria of Orléans, are the work of Pietro Somazzi. 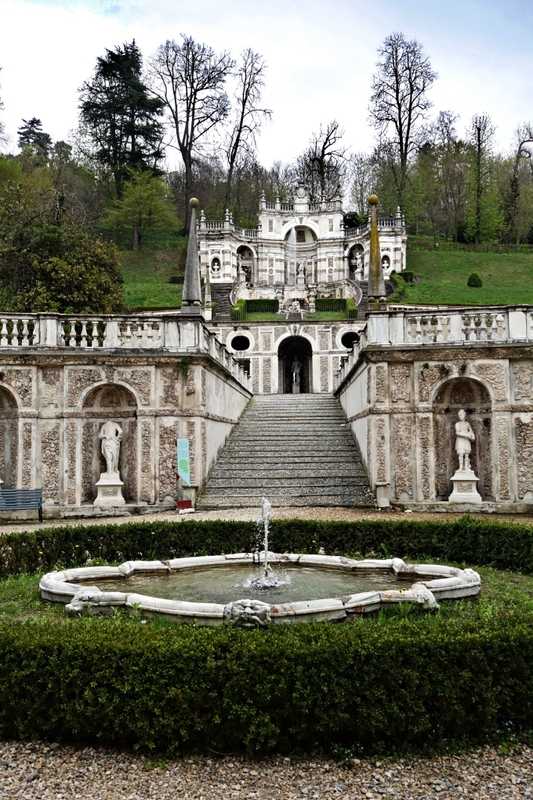 The structure is typically seventeenth-century with an Italian garden with an amphitheater in the back. Once you have crossed the driveway, you have the opposite elliptical square-terrace (the so-called Gran Rondeau) opposite, that is a double staircase with a central fountain of 20 m in diameter. Inside the fountain there is a marble sculpture of the seated god Neptune, while at its edges there are 12 statues of river gods. The scenic Gran Rondeau allows you to climb to a rectangular square that ends at the bottom with a pincer staircase and a smaller centered tank of the previous one, called the Mermaid's Bath because it contains a marble statue of the Siren. I had many pics shoot in this beautiful place, I hope you liked this tiny selection of them.